Parasite Prevention Focus at Mill Bay Vet is starting at the beginning of April, continuing through July. Through Facebook, our website and information at the front desk, we will be educating clients (and staff members) about protecting our furry friends and ourselves from flea bites and the dangers of ticks. Simparica is a flavoured tablet that is given orally once a month to your dog, killing adult fleas before they have a chance to lay eggs. 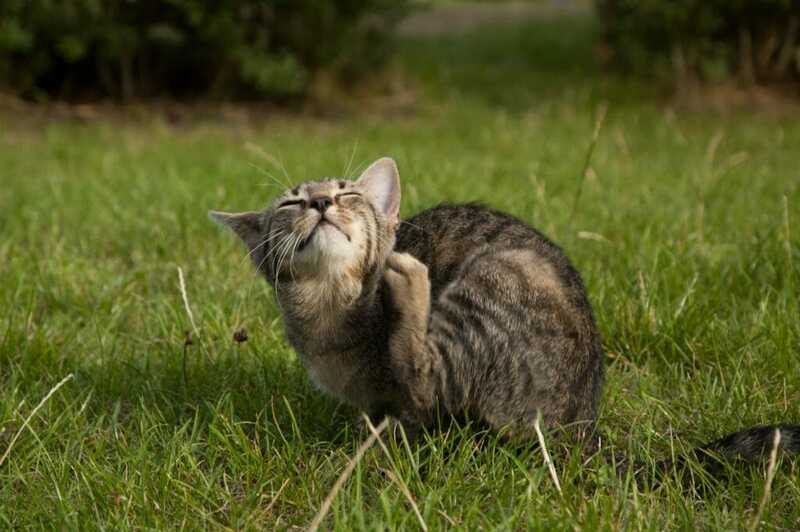 This breaks the flea’s life-cycle, which is essential to prevent a flea infestation. Simparica also kills five species of ticks. With the population of ticks growing in Canada, avoiding ticks on your dog helps prevent diseases that can affect both humans and dogs. This flavoured tablet lasts for the full 30 days and dogs seem to love the flavour. Next on the bestseller list is Bravecto! Bravecto is a flavoured tablet that is given orally, which kills fleas and ticks, lasting for 12 weeks. Dosing every three months can be handy for those busy households. Bravecto now has a topical product for cats that kills fleas for 12 weeks and ticks for eight weeks. Apply the full contents of the tube to the back of your cat’s neck and Bravecto will do the rest. Both Bravecto and Simparica are for animals over six months of age. Nexgard is another chewable tablet used to prevent fleas and ticks. This product can be used for puppies and adult dogs. Sentinel is a chewable tablet that kills fleas and some internal parasites. This tablet is dosed monthly and can be purchased in packages of six. If a topical product is what you prefer, we carry Revolution for BOTH CATS and DOGS. Revolution is applied once a month and kills fleas, ticks, and some internal parasites. Other than Bravecto for cats, Revolution is very useful in keeping your cat parasite free. For those clients who haven’t been in for a visit in the last year, we also sell Advantage over the counter. In addition, Advantage is a topical solution applied once a month to a dog or cat, sold in packages of four or six month supply. It is a good idea to check your dog and cat regularly for ticks, and if you find one be sure to remove it promptly with a tick twister or check Youtube for safe ways to remove a tick. Be proactive and have your pets treated for parasite prevention. Your cat or dog will thank you, so will your carpets and bedding!